The family and friends of a South Florida woman who went missing while on a Costa Rica vacation have confirmed a body found by authorities is that of 36-year-old Carla Stefaniak as police announced an arrest has been made in the case. A Facebook group titled Finding Carla announced the news, saying Carla's father Carlos Caceido identified the body late Tuesday night. "Words cannot express the devastation within her family and friends. We want the world to know that we will never forget Carla," the post read in part. "We will never forget the joy she brought into our lives, how much she made us laugh. We will always be with her and we know she will always be with us." Walter Espinoza, head of the country's Judicial Investigation Department, said a body was found Monday near the Airbnb where Stefaniak had been staying. Officials said they are awaiting fingerprint comparisons to 100 percent confirm the identity. The cause of death is head trauma, Espinoza said. Espinoza said 32-year-old Bismark Espinosa Martinez, a security guard for the property, has been arrested in the killing. Martinez, who was in the room next to where Stefaniak was staying, gave contradictory statements to police when he was questioned, Espinoza said. Earlier Tuesday, Espinoza said they found what appears to be blood in the Airbnb apartment rented by Stefaniak, and that prompted a search that led them to the body discovered outside. Carlos Caceido, Stefaniak's father, told Costa Rican news outlets judicial authorities prevented him from seeing the body when they arrived. A source told NBC 6 Tuesday night the US Embassy took the family to visit the morgue for a second time. 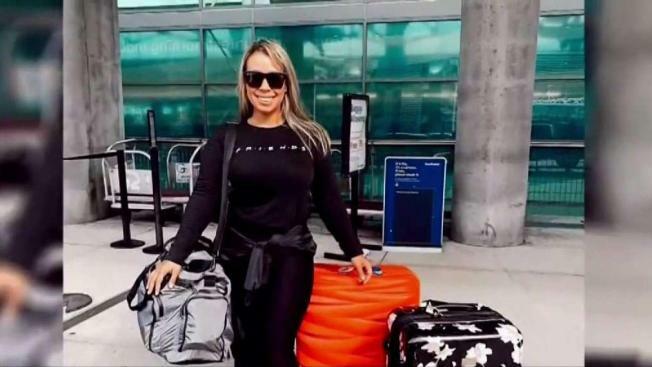 Stefaniak had been missing for more than a week after traveling to Costa Rica to celebrate her 36th birthday with her sister-in-law April Antonieta. A Gofundme account says Stefaniak was last heard from around 8 p.m. on Nov. 27. She didn't show up for her 1 p.m. flight home on Nov. 28. Espinoza said the missing persons report led them to search the apartment in the San Antonio de Escazu neighborhood, where they found "biological fluids ... that are compatible with blood." That led them to search the area around the department, where they found the body, which was covered with plastic bags. "The case continues to be under investigation," Espinoza said, and officials have sealed off the apartment to protect any evidence. The Tampa Bay Times reports Stefaniak's last message to her family said: "It's pretty sketchy here," that the power was out and it was pouring rain.